A lot of software is shipped with our operating system. I find the most comes from Windows XP. However, apart from all those junk trail software where you can’t really use them without purchasing them, there are actually quite a lot of really useful programs. 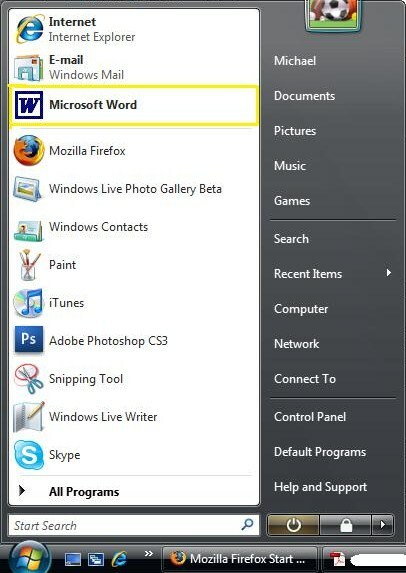 Most of these useful ones are not third-party programs, they are from Microsoft. One great example is ‘Paint’. Paint comes standard with Windows 2000, XP and Vista. Although it does not offer any serious pro tools but it is very easy to use and is enough for a lot of purposes. I use Paint all the time for doing Print-Screens and then copying it into Paint and then do a bit of editing with Paint and sometimes with Windows Live Photo Gallery. You can also do this job is Adobe Photoshop. However, you will have to spend a few hundred bucks and for starters, Photoshop can be very complicated to use and learn. So if you are one of those people who write-off simple applications like Paint that comes standard with your PC, I want you to try using them for some simple purposes and see how you go. Question: How can I see a list of the Windows Updates I have already installed on my computer? Windows Vista: 1) Open Windows Update by clicking on the Start Button. Click on ‘All Programs‘ and then ‘Windows Update‘. 2) In the left sidebar of the Windows Update window, click ‘View Update History‘. There, you will be able to see a list of all Windows Updates installed. Windows XP 1) Open Internet Explorer and click on ‘Tools’. Int he drop-down menu, click on ‘Windows Update’. 2) Wait for the wait to load and then choose ‘Custom‘. Wait for the page to load. Then in the left sidebar, click on ‘History‘. Question: How do I pin a program to the start menu so that every time I click the Start button, a short cut for the program will appear. 1) Browse through the programs list and right-click the program that you want to the pinned. 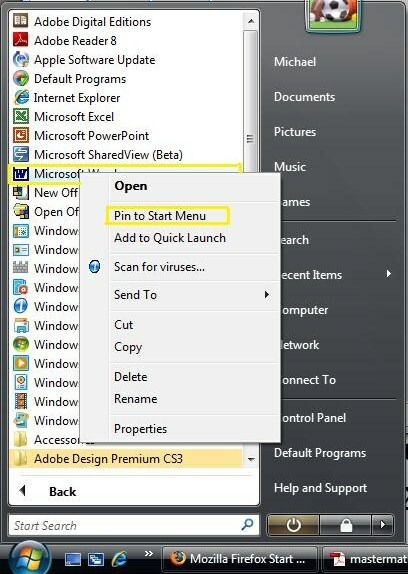 2) Click on ‘Pin to Start Menu‘. The selected program should be now pinned to the Start Menu. * Memory reporting and diagnostic logging — Plus much more.